Burlington County Prosecutor Scott Coffina (center) announced an anti-violence policing initiative at his office Tuesday. He stands with (left to right) Gregory Rucker, Willingboro Twp. 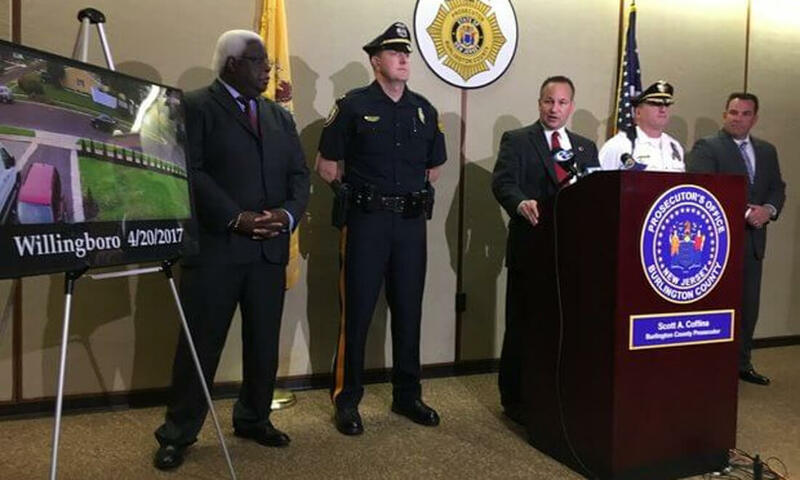 director of public safety, Willingboro Township Police Captain James McKendrick, Medford Township Police Chief Richard Meder, and Darren Anderson, chief of investigators for the prosecutor's office. Welcome to the Willingboro Township Police Departments’ web site. Our web site is designed to provide information about the Willingboro Police Department and what is happening in our community. The goal of our police department is to provide the highest level of service so that our residents can enjoy the highest quality of life. A voluntary "self-help" crime prevention effort centered around the community and local law enforcement working together for the safety and protection of your neighborhood. 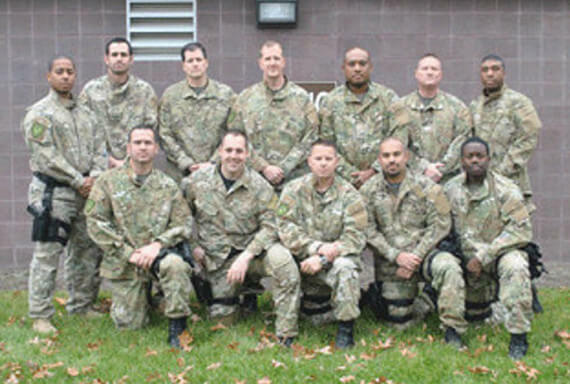 Our department has a highly trained group of officers who serve on the Special Weapons and Tactics Team commonly referred to as SWAT. The SWAT Team is trained to serve search warrants, handle barricaded subjects, and perform hostage rescues. The Willingboro police department offers a Citizen Police Academy open to all residents 21 years old or older. 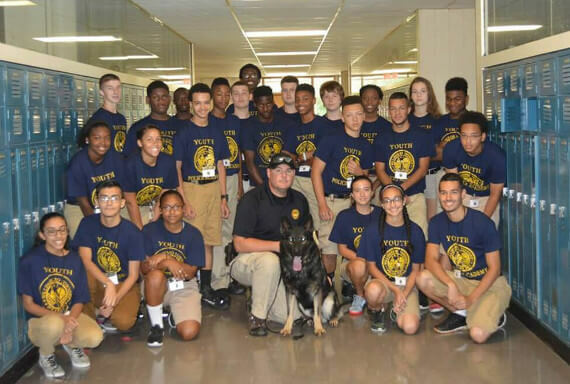 The purpose of the academy is to foster a better relationship, through education and training, between the citizens of Willingboro and their police department. Willlingboro Police Officers are now equipped with Body Worn Cameras. Here are pictures of the cameras and how they may be mounted on a Willingboro Police officer's uniform. The Body Worn Cameras are devices that capture visual and audio footage of an officer's interaction with citizens. Question: How can I get fingerprinted? Answer: The Willingboro Police Department offers fingerprinting for all of its residence. You will need to bring proof of identification and residency to the Police station. Question: How can I register my residential alarm? Answer: Our Crime Prevention Unit is responsible for alarm registrations. Their office is located in the lower level of the police station. Question: How do I get my vehicle out of impound? After producing these documents, you will be given the Impound release form and informed where your vehicle is being store. NOTE: the impound company will not release your vehicle without the release form. Click here to sign up today! It's quick,easy and secure!